I am always very careful when choosing clinics that would handle my skin and face. It is very much like choosing the products and makeup that I put on my face. I didn't think twice when I was invited to try the services from SvelT'i or Svelti (as used on this blog) . SvelT'i Health & Beauty Centre offers advanced and state-of-the-art technology in skin and body care. I know friends who regularly visit the beauty center for face and skin treatments. Duane Bacon is a living testimony to how effective the treatments are at Svelti especifically, the Emerge which treats acne scars. 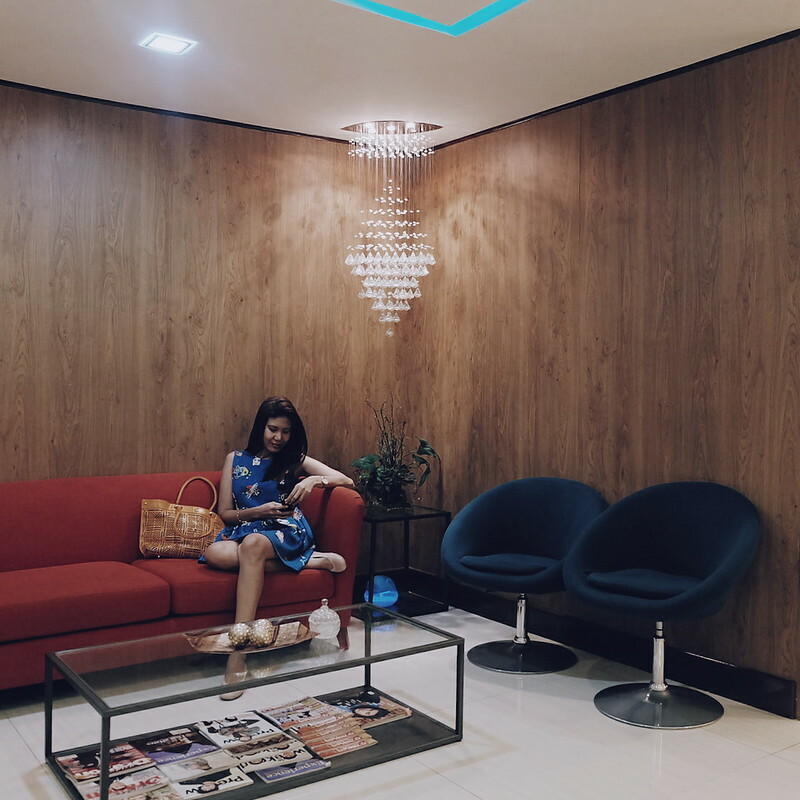 During my first visit, I had a quick skin assessment and interview regarding my skin history and treatments. Doc Lalaine Salazar is like an angel who would save me from all my skin and aging worries. She is so pretty and easy to talk to - always happy to answer any question. It makes me more confident about the treatments. Having a good relationship with doctor/specialists and clients is important to me. I had one medical practitioner I know who seem very cold to his patients and doesn't seem open to questions and setting client's expectations (it was a nightmare, but that's a different story I want to share some other time). SvelT'i suggested that I should get Collagen Facial Treatment. What I like about the consultation is that they offer you what your skin needs - more than what the beauty center needs to sell. When I went back for my appointment, I was surprised to be greeted (by name!). It was only my second time at SvelT'i and they already know me. Little things that make one smile. I was escorted to one of the rooms where I stayed for 2 hours! No joke. Collagen Facial Treatment aims to restore skin's elasticity making it more supple and fuller by slowing down the breakdown of natural collagen in our skin. The facial started with the usual - cleansing, extraction and mask. The bonus? The face massage and shoulders massage! 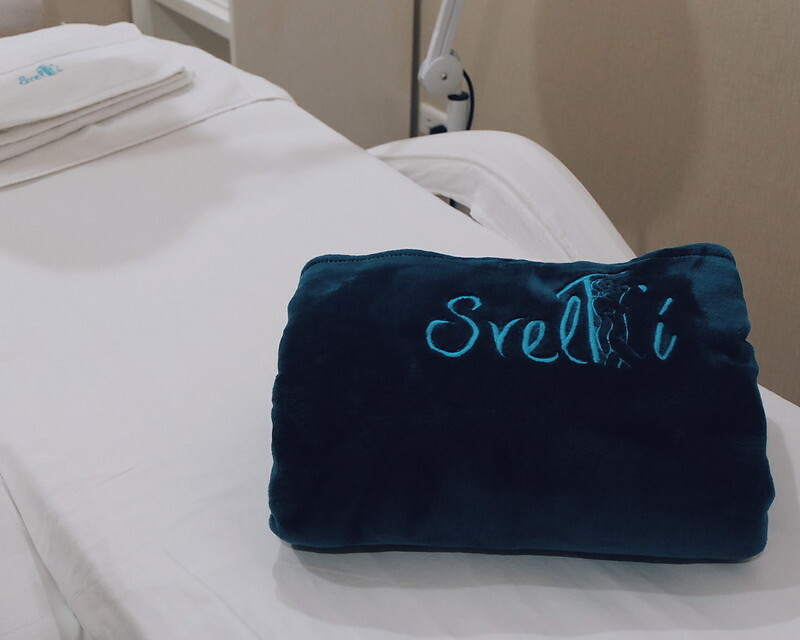 Extraction is not my most favorite part but what I love about Svelti is that the services are conducted by nurses and trained professionals. They know how to handle their equipment and your face. My favorite part is the mask! I love the feel of the cold mask on my face that sat for 20 minutes. I took a quick nap and would have wanted to ask for another 5 minutes. But, they gave me 30 minutes wearing this Laser Mask that helps generate collagen production in the skin. 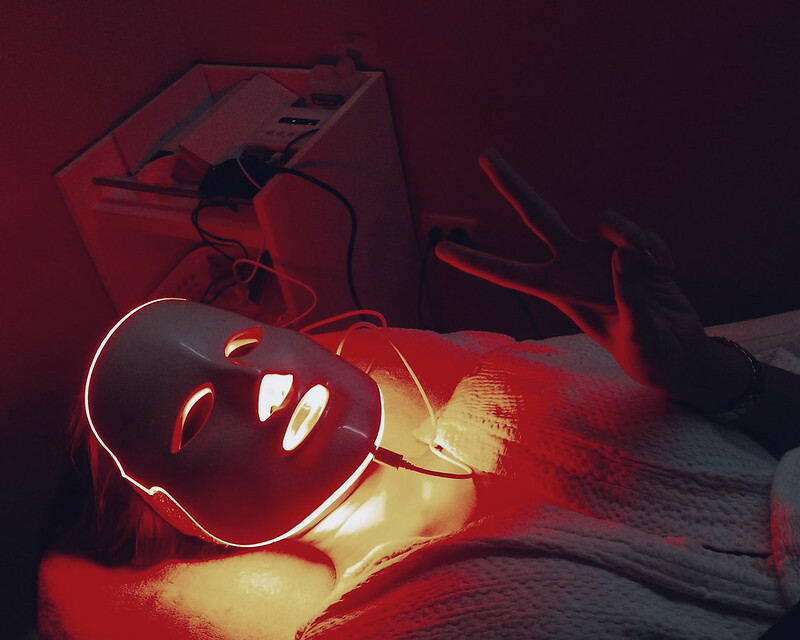 It is called Photodynamic Theraphy or PDT which uses red or blue light depending on skin's condition. The most painless treatment I tried that gives my skin a natural glow after a few days! My schedule has been pretty hectic the past weeks but I love that my skin still feel refreshed even if I oftentimes forget to put moisturizer at night. The best thing about SvelT'i, they don't push you to buy their products (which adds up to the bill!). - which are, by the way, made in Korea. During consultation, they just take note of my beauty/skin care items and they say that as long as the current products work for my skin, I can keep using them. I am very much happy with my relationship with SvelT'i and I cannot wait to go back for the next treatment. Check out SvelT'i at https://www.facebook.com/sveltiph for more information and to book an appointment.